Ken Aldridge, Head of School with lower school friends. 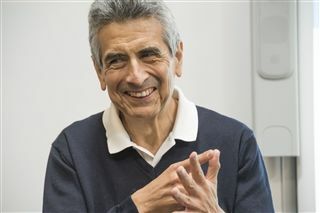 Engaging complex questions intellectually and in action. Ask questions, collaborate, experiment, and innovate. Respect for every individual and one's added value to the whole. Preparing students to learn, work, and lead in a fast-changing world. A foundation of Quaker education, linking the classroom to the world. Fostering a conscious responsibility to the good of all. Friends education instills confidence and empathy. Please register in advance to customize your tour. 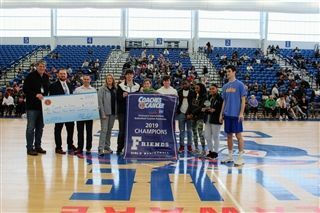 Friends Senior Timmer Farley was named to the Blue Squad for the 2019 Blue-Gold All-Star Basketball Game, which took place in the 76ers Fieldhouse on Saturday, March 16th. The WFS Mock Trial team had an exciting weekend at the Delaware Mock Trial Competition at the Wilmington Courthouse. With over 25 schools competing, the Friends team took fifth overall and the following team members were awarded gavels: Elissa Belleroche ‘21, Ellie Bradley ‘19, Elise Johnson ‘21, Claire Manning ‘22, Austin Sarker-Young ‘22, and Nick Urick ‘20. Congratulations, Quakers! 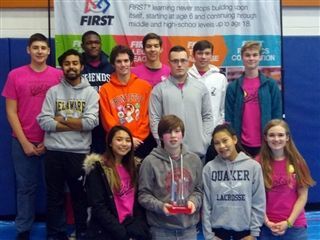 Thirteen WFS students tested their science and engineering knowledge in the annual Science Olympiad competition at Delaware State University. 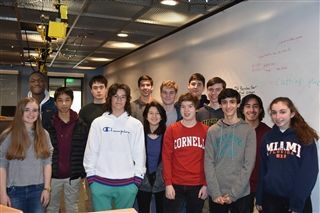 There were 24 events ranging from protein modeling to building musical instruments, and the team placed 20th out of 56. Several WFS olympians, all seniors, brought home medals. 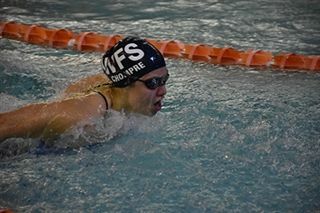 Congratulations to WFS junior Ashley Chompre who has been named the 2019 Delaware Swimmer of the Year! 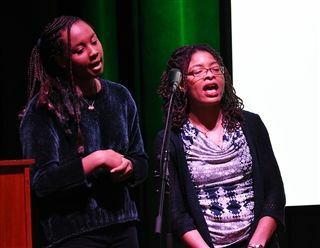 The WFS middle school Sisters of Color and Young Men of Color worked with their upper school counterparts to kick off Black History Month with a Collection featuring students performing poems and spoken word and sharing facts about the achievements of African-Americans. Also part of the collection was a dazzling step show by four members of University of Delaware’s Alpha Phi Alpha Fraternity and a moving performance of “I Know Where I’ve Been” by Jadyn Elliott ‘20, US teacher Erica Childs, Genesis Lyons ‘22, and Hannah Carter ‘22. At the DIFCA All-State Football banquet, Peyton McNeill '19 received the Mini-Maxwell award; Michael McKenzie '19 received the Sportsmanship Award, and Jacob Jaworski '20 was recognized as the 2nd Team All-State kicker. In addition, 14 WFS football players made Academic All-State. The Monday before Thanksgiving. the 6th grade assembled 28 apple pies from (almost) scratch. The pies were baked at students’ homes and donated to the Sunday Breakfast Mission. 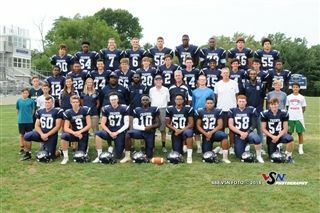 WFS Football -- 2018 Conference Champs! Congratulations to the WFS football team, 2018 DISC champions! WFS Boys Soccer -- 2018 Conference Champs! 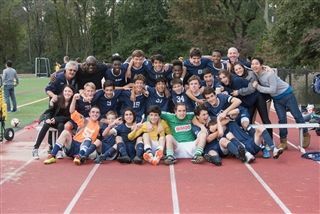 40 years in the making, the undefeated WFS Boys Soccer team became DISC champs last night after defeating Tower Hill. Watch game highlights here. The WFS Eco-Team has begun the creation of a native plant meadow at the MS/US campus. 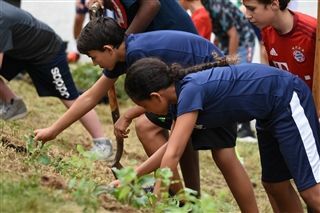 In celebration of the International Day of Peace, MS students planted native plant plugs in the meadow. 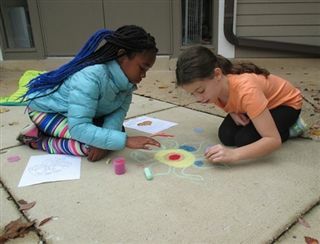 WFS first graders' peace posters, which they created for and held during the kindergarten peace march observing MLK Day last year, are on display at The Delaware Contemporary as part of Peace Week Delaware. 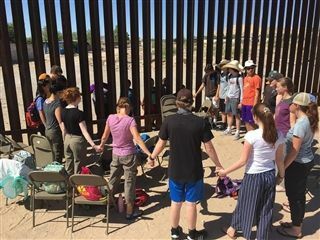 In June of 2018, in partnership with the World Leadership School, students traveled to El Paso, Texas, for an examination of worldwide immigration issues through the lens of the U.S.-Mexico border. LEARN MORE about the trip and QUEST. WFS students in grades 9 to 11 joined together to assemble 10,000 meals in conjunction with The Outreach Program for the Food Bank of Delaware. We are grateful for the support of the Home & School Association and the Opderbeck family for helping to make this initiative possible! Congratulations to upper school history and Theory of Knowledge teacher Javier Ergueta, who has been named the 2018 Delaware History Teacher of the Year. This award is presented annually by the Gilder Lehrman Institute of American History, the nation’s leading organization dedicated to K-12 American history education. 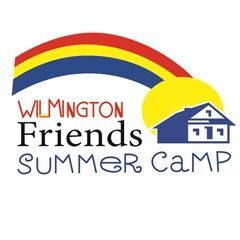 WFS is thrilled to be the recipient of a Whole Kids Foundation Garden Grant, awarded to 600 of over 1,300 applicants, for the maximum amount possible. Congratulations to teacher Carlos Charriez who runs the garden program and applied for the grant, and to all of the students who have helped our garden flourish! Global learning at Friends teaches students to engage complex issues intellectually and in action, in and outside of the classroom, with a sense of confidence and responsibility. World Languages at Friends are taught by immersion, and by the end of the first interim (quarter) of sixth grade, students converse with each other,not using memorized text but within open-ended scenarios based on broad vocabulary study. 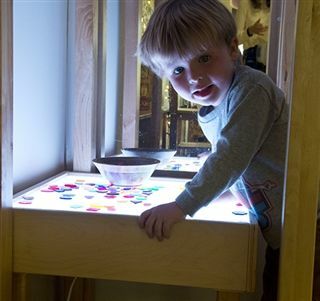 Watch a 60-second video about emergent curriculum and how it fits with both Reggio Emilia and Quaker education.